Posted in Barack Obama, Hillary Clinton, Mike Huckabee, Science, Social Issues, Stem Cell Research. Tags: Abortion, Barack Obama, Donald Trump, Hillary Clinton, Mike Huckabee, Mike Pence, Planned Parenthood. RSS feed for comments on this post.. TrackBack URL. Why do these places require subsidization? 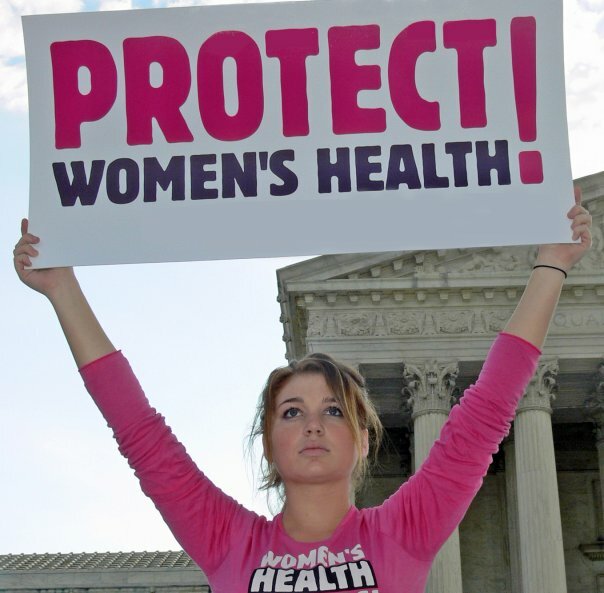 Planned Parenthood provides a wide range of services for the poor, including routine contraceptives; emergency contraception; screening for breast, cervical and testicular cancers; pregnancy testing and pregnancy options counseling; testing and treatment for sexually transmitted diseases; comprehensive sexuality education, menopause treatments; vasectomies, and tubal ligation, besides abortions. They get about one-third of its funding from the government, with this money legally be required to be used for these other services besides abortions. Anti-abortion groups either oppose some of these other services such as contraception, or are willing to see the other services be eliminated in order to prevent them from existing at all as they perform abortions. Some anti-abortion groups have even attempted to boycott the organizations which provide private donations. A point few on the left will admit except when recommending legalization of infanticide is that late term fetuses are just babies in a dangerous place. Early term fetuses, in contrast, are mere masses of human cells not shaped up into a remotely recognizable individual human being. As Judith Jarvis Thompson so famously wrote decades ago, "an acorn is not an oak tree." But a sapling actually is, small and immature and weak though it be. Allowing murder of any class of humans for selfish reasons or, worse yet, at will, is a little too scary for me, and so I would prefer late term abortions be disallowed except in those cases where the usual arguments for euthanasia fairly apply. So I would prefer that late term abortions for the usual reasons or at will not even be allowed, much less that they become profitable, less costly, or more entrenched thanks to uses of killed babies that would make even Jonathan Swift sick. And so I wonder where the tissues to be used for research that this flap is about actually come from. And I fear the worst, that they are "harvested" from killed late term fetuses that are undeniably murdered innocent human babies, killed for wholly frightful reasons. Even apart from that it is in place to ask, since lawful "reproductive services" really are not health care services, why the government should be financing their provision, or requiring that employer insurance plans cover any or all such things, assuming all the while that government should be providing, or requiring employers or others to provide, health insurance for people at large. Some of what PP does counts as real health care, I gather. But much, maybe most, comes under the heading of "reproductive services," no? I don’t know anyone on the left who actually supports infanticide. Abortion of late term fetuses is rare–the actual number and reasons varying dependent upon what is meant by late term. Late term abortion is generally performed due to dangers to the mother. Dependent upon when the line is drawn, a major cause of abortions being done later than they might have been is due to restrictions created by conservatives which make it more difficult to obtain abortions earlier. Conservatives try to distort the science, labeling abortions at points before even the cerebral cortex is formed as late term with false claims that the fetus can feel pain, when this is biologically impossible. Planned Parenthood provides valuable services both with regards to reproductive services and related services such as cancer screening. Reproductive services most certainly are classified under health care. Of course it is a philosophical difference between conservatives and liberals as to whether the government should contribute towards the funding of such services for those who cannot pay.